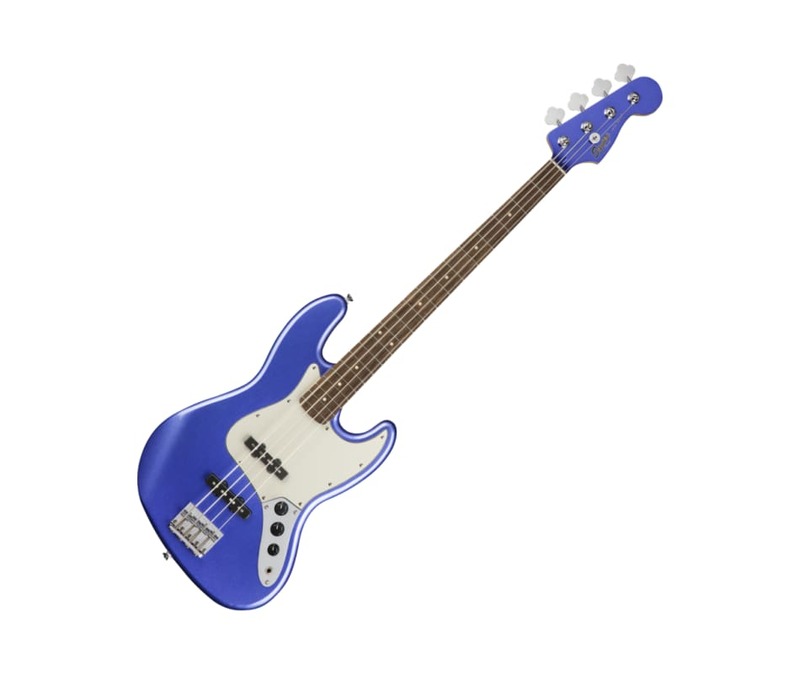 Adding a shot of modern playability and tone to a beloved classic, the Squier Contemporary Jazz Bass combines exciting new features with classic style for a beast of a bass thats ready to rule the stage. Eye-catching appointments like a matching painted headstock for a cohesive aesthetic and brilliant chrome hardware are sure to command attention. Player-centric specifications include a slim and fast C-shaped neck profile with a 12in fingerboard radius ideal for speed-demon bass runs, while a modern bridge provides titanic rumble with optimal stability. Featuring two Squier ceramic single-coil pickups with a standard Jazz Bass control layout, the Contemporary Jazz Bass is primed to revolutionize.